There appears to be a fresh wave of optimism coming out of Old Trafford these days. Manchester United have obtained the services of a world class manager, who is in Brazil competing for the biggest international prize of all. 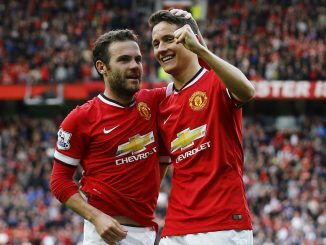 The club have also acquired the services of Ander Herrera from Athletic Bilbao, whilst Toni Kroos continues to be linked with the club. United have also signed one of the most brightest English talents for a record fee paid for a teenager. 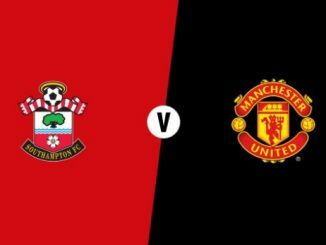 Luke Shaw looks set to be a superb investment for the club, but we wanted to find out the opinion of a Saints fan who has watched him up close the past two season. We caught up with Chris who blogs over at George Weah’s Cousin and you can follow him on Twitter @crstig. 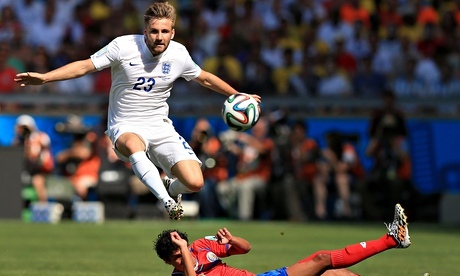 1) What do you think of Luke Shaw as a footballer? What type of player have Manchester United bought? I think Manchester United have made a significant investment in the future. Shaw was, at 18 years old, one of the best left backs in the Premier League last season, no doubt about it, but he is still a diamond with rough edges. He is already a competent Premier League footballer, but his potential is far higher than that. Shaw is very good defensively, and I think that often gets overlooked as people are desperate to compare him to Gareth Bale. He is already a better defender than Leighton Baines in my opinion, and the pair’s performances in Brazil would back that up. He does go on mazy runs too, but at the moment lacks an end product which is highlighted in his goal/assist stats (or lack of). That will come in time though, and when he runs at defenders they crap themselves. When he finds that final ball or finish then you have got some player on your hands. 2) Who do you think got the best deal? My natural cynic has to say Luke Shaw. He’s 18 years old and has just become an incredibly rich young man. In reality though I think it represents a good deal for everybody involved. The fee may seem high, but given the work that has gone into him from a development point of view at Saints I think it is justified. If he reaches even half the potential I think he can then it is cheap. Believe me. I just hope we have a sell on clause. 3) From watching him for the past three seasons; what are his greatest strengths? He has an incredible maturity for his age. He took to first team football like he’d been playing it all his life. Nothing phases him and you can count his ‘bad’ games on a couple of fingers. He reads the game well and has decent pace, which often sees him making vital tackles with expert precision. 4) And what does he need to work on at Old Trafford? As I alluded to earlier his decision making in the final third and finishing needs to improve drastically, he finds it incredibly easy to get into the right positions but lacks the killer ball or finish to see it rewarded. One of the biggest issues in his time with Saints was injury and illness. He did seem to miss a fair few matches with niggles/colds. 5) Which player did he keep quiet and which player caused him the most trouble? No one has given him major issues, though the lad at Villa Marc Albrighton game him the runaround at Villa Park last season. He did a pretty good job on fellow ‘wonderkid’ Januzaj in the last game of the season, perhaps the day that made your decision on him. 6) How do you think he’ll cope under a disciplinarian like Louis van Gaal? I don’t see there being any issues with at all. Saints pride themselves on producing decent people as well as decent footballers from the Academy. Shaw is incredibly mature and I genuinely believe he has a will to succeed. I think he’ll excel under the Dutchman. We had our own strict disciplinarian in Nicola Cortese, and Shaw was one of the players who seemed most disappointed at his departure. 7) If Ashley Cole is the Benchmark for English left backs – how does he compare and how many England caps can he win? Is he as good a left back as Ashley Cole at his peak right now? No. Can he be? Absolutely. He will be England’s first choice left back for a considerable time now I imagine and once the decision was taken not to take Cole to Brazil, he should have got that role straight away. I was one of the few England fans who would have taken Cole and Shaw and left Baines behind. 8) How do you see the Evra vs. Shaw matchup developing? What do you think of Evra as a left back? I think United have been incredibly clever in giving Evra a one year extension. With no European football, Shaw can be eased into life at Old Trafford and learn from Evra at the same time. I’m a big fan of the Frenchman and it is never a hindrance to have someone whose experience you can take on board. I imagine the coming season will see the transition from Evra to Shaw as first choice. 9) Do you think Shaw can help Manchester United get back into the Champions League and challenge for the title? At the very least you have better depth at left back than you did with Buttner (ironically Shaw got his chance with Saints when we missed out on the Dutchman) so I think that will help immensely. Shaw is good enough to play first team football for you now, and his talents would be wasted in a team that wasn’t challenging for trophies and playing at the highest level. 10) Walcott, Bale, Oxlade-Chamberlain and Shaw – how would you rate the four talents that have left the St Mary’s academy? I rate all of them incredibly highly. Right now the others don’t compare to Bale. He is a once in a generation level talent, but the other three sit on that plane of class one level below I would say. Of the other three though it is Shaw I would say could emulate the Welshman. At the risk of sounding like a broken record, if he finds that end product then you’ve got a world beater on your hands. As an Everton fan I’d suggest the views of Baines from a Saints fan and a Utd fan, after he turned you lads down, might not be completely accurate and honest!. If Shaw WAS better than Baines I’d have no problem saying so…Baines is on a 4yr deal with us and I’m happy with him in that slot. Shaw, in a couple of years, will likely be on par or better with Leighton. No argument with that….for £30mn price tag he’d better be I think many would say. Shaw has some of Baines ability going forward…Baines has the end product now…as proven against Uruguay and any one of a dozen matches last season. Shaw’s dead ball placement doesn’t compare though. Defensively Baines is fine, not as good as Cole on his day…but Cole hasnt had his day for 3yrs and doesnt have a club now because of it. He does have problems when left to handle a winger and full-back at the same time though…as we saw against Italy…something the ‘Cole should have gone’ fools conveniently turn a blind eye to. In fairnness there isnt a fullback in the world that could have done better with that absence of support. Against Costa Rica Shaw had Lallana giving the cover that Rooney chose not and wasnt up against the quality the Italians had. If you Utd fans are bright you will view Shaw as Evra’s understudy for the season coming and let him finish learning his trade. He’s just stepped up to a higher level of expectation than he’s used to. Give him some time and let him make a few mistakes. Hanging ludicrous hopes like ‘he’s better than Baines now’ on him are just setting the lad up for a massive fall.